Design Influences: Transitional Kitchen – White Shaker Cabinets on Wall and Navy Shaker on Island. 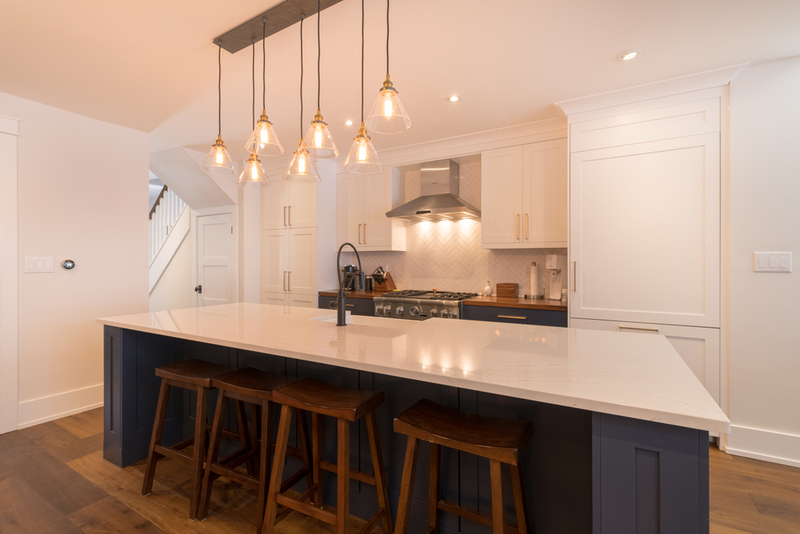 Gold Toned Hardware, Walnut Butcher Block and Cambria Ella Counters. 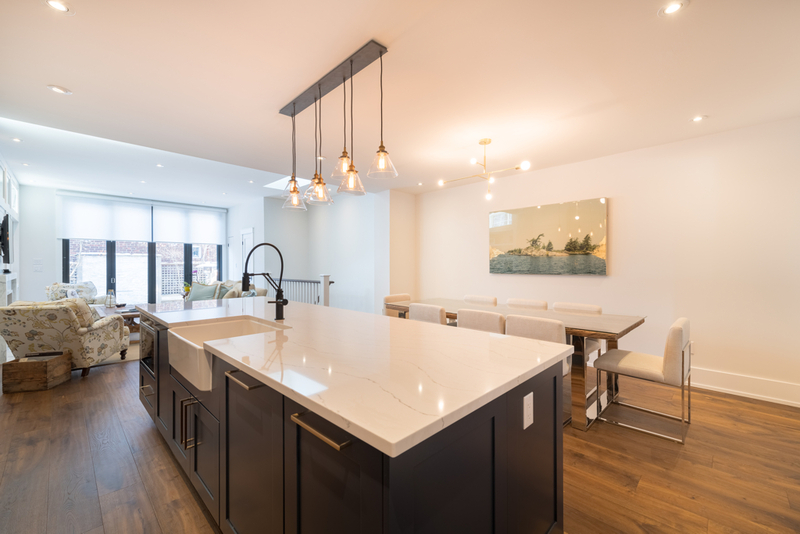 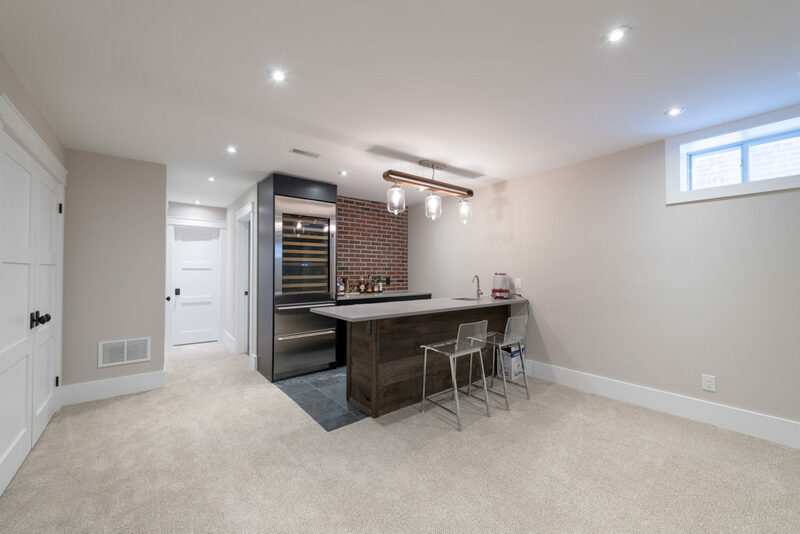 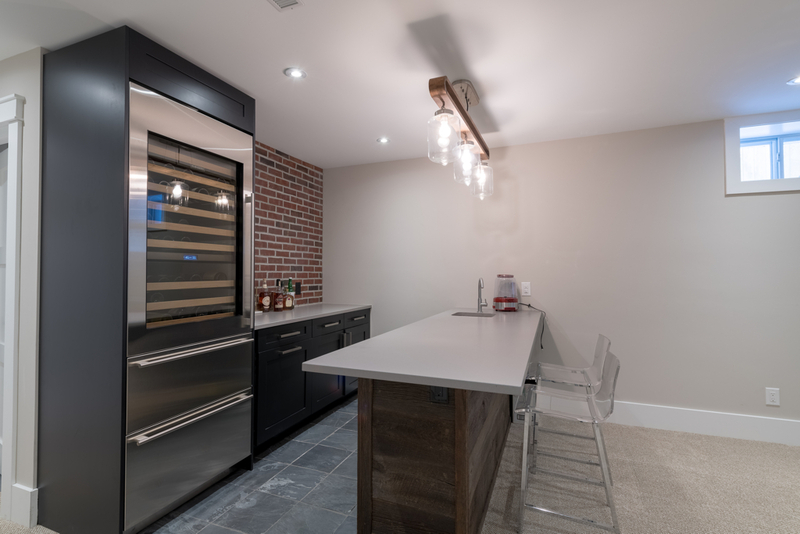 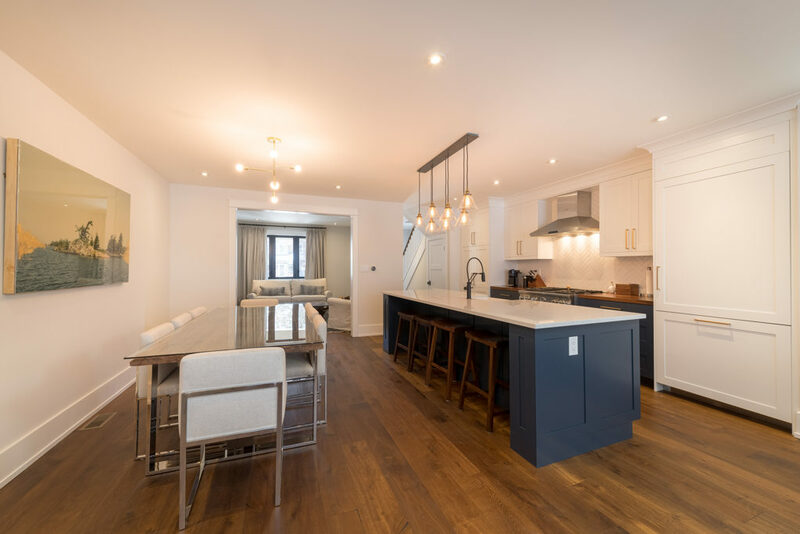 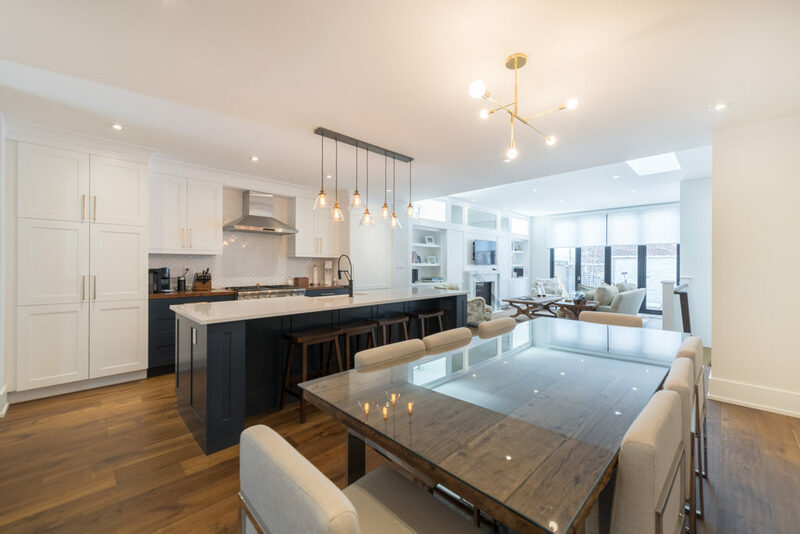 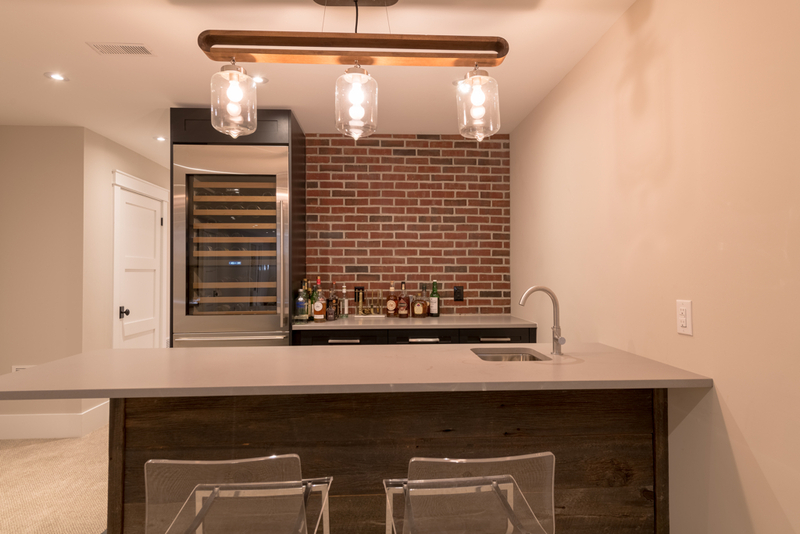 Basement Bar – Reclaimed Wood Bar, Grey Modern Cabinetry, Grey Concrete Counter.